Here are popular sites that work similarly to Polyvore where you can continue your fashion addiction and inspiring the "styleverse" with your creations and #outfitinspo! Lookbook is a global fashion community where bloggers from all over the world post their outfits for "hypes" and inspirations. You can shop the outfit and anyone can sign up and join the community. 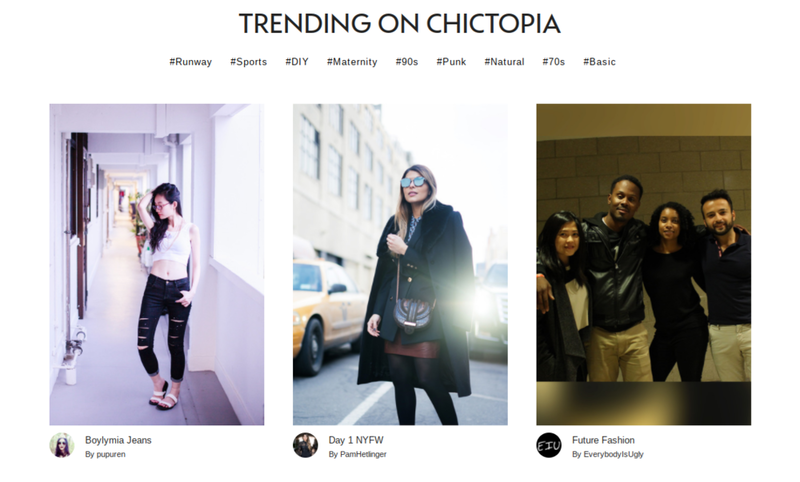 Chictopia is active and even has a section called #OOTD! Members can post their own outfits, like other peoples' outfits, shop someone's look, and earn points every time you log in and/or invite friends. Points can be redeemed for actual products. How awesome is that?! Trendtation is another fashionista-friendly site where #inspo are created, shared, and sought-after. You can sign up as a Style Creator or a Inspiration Finder. Brands can also join the community by uploading their products for creators to style with and followers to buy. Independent Fashion Bloggers is just as the name indicated, a community for fashion bloggers to share tips, tricks, and best practices besides inspiring looks. Even if you're not yet a blogger, wannabes will find this site useful with real bloggers sharing their journeys. Stylebook App is not a website but an app. This neat app allows you to create looks with YOUR own clothes! You can upload your own clothes and create looks with them. With your closet uploaded, you can even plan out your outfit ahead of time and even your packing list for an upcoming trip. There you have it ladies. Hope you're feeling a bit better now that you've learned you have options. Although, Polyvore was definitely a fun site and it's not easy to replace. But I have a feeling after you start exploring the different fashionista communities mentioned above, you'll find at least one that will calm your fashion frenzy.